Aziz Tan’s presence as the Istanbul Film Festival’s new director was quickly established in less than a year: there were better facilities for the press and booking was made easier with several booking stands like all other credible international film festivals. Even without a ticket, staff members kindly made sure that you get a seat. Istanbul has a population of nearly 10 million. The city is sprawling like Tehran. There was a tulip festival going on in the lovely spring weather only to remind us of where the true city of tulips was located. The Iranian cinema was present at International Istanbul Film Festival this year with three films: Men at Work (Mani Haghighi) was entered in “From the Caucasus to the Mediterranean” section; Iran: A Cinematographic Revolution (Nader Takmil Homayoun) at the “Documentary Time with NTV” section; and Half Moon (Bahman Ghobadi) in “International Competition” section. Bahman Ghobadi is one of the most intelligent Iranian filmmakers in the international arena. He knows very well how to behave and what to say in every place. In Turkey, where there are 23 million Kurds, he spoke in Kurdish and talked about the omission of seven minutes from his film. His film was welcomed by viewers and film critics and received an award from Radikal newspaper as viewers’ choice, which is an important award. Half Moon was, in a way a, remake of Songs of My Maternal Land. A number of musicians traveling to Iraq are looking for a woman who can sing local songs. The story ends with the death of the master musician. In this film Ghobadi has worked with a combination of professional and amateur actors. Let us note that the viewers voted for Half Moon while significant films such as Delirious (Tom Dicillio) that won the special prize of international jury. Poison Friends (Emmanuel Bourdieu) and Lady Chatterley (Pascale Ferran) were also present at international competition section. Reprise (Joachim Trier), a film from the Norwegian new wave, won the Golden Tulip Award. As Nader Takmil Homayoun’s first feature-length documentary, Iran: A Cinematographic Revolution was welcomed by those who were interested in the Iranian cinema. Takmil Homayoun believes himself to be a director of fiction films rather than a documentarian. He has made a number of short fiction films. Iran: A Cinematographic Revolution starts with the Islamic Revolution of 1979, explains its causes and consequences and then discusses the revolutionary films of those years. He goes to officials who were in charge of the Iranian film industry in those years and asks them about the past and present as well as ideals and realities. He also interviews filmmakers who were active in post-revolution years: Bahram Bayzai, Rakhshan Bani-Etemad, Mohsen Mahmalbaf, Jafar Panahi, Bahman Ghobadi and Amir Naderi. He also interviews a number of older Iranian filmmakers such as Farrokh Ghaffari and Fereidoun Goleh a short while before their death. The film has been dedicated to Goleh. The filmmakers talk about how they tried to evade censorship and this is what makes some scenes interesting. In the national competition section, the viewers’ choice was Climates (Nuri Bilge Ceylan). When receiving the award, he said that he was more hopeful because he received the award while his film was watched by only twenty thousand people in public screening. Nuri Bilge Ceylon has made a film with a slow pace about a couple whose rift becomes insoluble. The director plays the villain character of the man. Some critics say that this has not helped to bring about any success for the film. The story begins on a sunny beach and ends in gloomy cold weather as the relationship between the couple worsens to mark a connection between man and nature. Climates has also received an award as Turkey’s best film of the year. This year, there were 16 Turkish films in the international competition section and five films in the national competition section. Thanks to government’s support, the number of Turkish films has been rising. They are talking about making some 70 films per year. Also in this section, International (Sirri Onder and Muharrem Gulmez) won the special prize of the jury and the best actress award. The story of this film goes on after the 1982 coup in Turkey when a traditional musical group is to compose a national anthem for the new government. Instead, they play The International. The film starts with a comic tone but ends in tragedy as the final concert ends in bloodshed. Destiny (Zeki Demirkubuz) is a beautiful movie, which won the best director of the year, the best actor, and FIPRESCI awards. It portrays a destructive love affair which traps a young man. Fog and the Night (Turgut Yasalar) has an absolutely professional structure beyond the standards of the existing Turkish cinema for a thriller and so is The Little Apocalypse (Yagmur and Durul Taylan) in the horror movies genre. This film is about a family who rents a villa for a holiday over the Internet and gets caught in a criminal adventure. Nazim Hikmat Blue Eyed Giant (Bekit Ilhan) is a popular and sentimental film which depicts part of the life of the great Turkish poet, Nazim Hikmat, when he was a prisoner. At he same time, it shows the delicate aspects of the poet’s character. 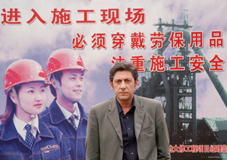 Chinese Are Coming (Zeki Okten) is also a comedy about how Turkish businessmen welcomed the arrival of their Chinese counterparts. Interestingly, Missing Star (Gianni Amelio) is about an Italian engineer who discovers a new world in China and creates great comic scenes. You cannot discuss Turkish cinema without talking about two other movies. The first film is Fear of God (Ozer Kiziltan), which won the best actor award for Erkan Can’s stunning performance next to the actor of Destiny and is about a religious man who has to confront his mental problems. The second film is Bliss (Abdullah Oguz) which deals with a delicate story with religious background about the killing of a raped girl at a village. At the end of the movie, the viewers find out why the village wise man has been in such a hurry to kill the girl. Oscar nominees have always had a special place in the International Istanbul Film Festival. The beautiful Golden Door (Emanuelle Crialese) narrates the story of Italians migrating to the United States in a marvelous way with technical expertise and good characterization. The Danish film, After the Wedding (Susanne Bier) has a deeply humane story. The film starts with a man who has dedicated his life to a charity school for the Indian children and has left Denmark many years ago. On the other hand, we are gradually introduced to a very wealthy and apparently lazy man, who we later find out to be much more generous and charitable than the man who has gone to India. The film is moving and shows how difficult it is to judge people’s characters. After the Wedding is one of those films that linger in your memory for a long time. The character of the charitable man, Jacob, is played by Mads Mikkelsen who has also appeared in Casino Royale. Another Danish film, Art of Crying (Peter Schonau Fog), is the first film of its director, which is based on an autobiography of a father who causes the downfall and decline of his family with his deviant behavior. The film is successful in portraying tragic situations of different characters particularly the mother of the family. Performances are stunning and the scenes are both comic and tragic particularly when the man is pretending a suicide attempt in order to gain the family’s pity. It is a mixture of good directing, good performances and good screenplay. The film was to be screened in Denmark immediately after the festival and its director was eager to see his fellow countrymen’s reaction. Peter Schonau Fog obviously did not expect such a success having seen the names of internationally acclaimed directors in the festival’s catalogue. Therefore, he was so excited when he won the FIPRESCI Award in International Competition. Another good film in the festival was Flanders (Bruno Dumont) whose story is about a group of youths who are dispatched to the warfront but only one of them returns home at the end. The French filmmaker says he is inspired by Bresson, Pasolini, Rossellini and Kiarostami. He has made a bitter film about the violence of war and the beauty of peace. The poetic Russian film Euphoria (Ivan Viripayev) was also a good one. It is the story of a strange love which ends in the lovers’ death. The film is an outstanding work because of its green location and the musical score, which makes helishots look like a dance. The Court (Abderrahmane Sissako) made by a director from Mali is about a case against IMF (International Monetary Fund) and the World Bank at a village court. Sissako, who is highly popular in France, furthers the court scene in a way that gains the viewers’ sympathy. This film won FACE Award (Film Award of the Council of Europe) as part of the “Human Rights in Cinema” section of the festival.